I bought my G1023 3 years ago. Since then it hasseen a lot of action. First and foremost this saw cuts straight andtrue. Everything I ever asked it to do, it did withoutcomplaining. A jointer is used to flatten the bottom of a work piece, or to create a perpendicular surface relative to another on the work piece. They are most often used to mill lumber. Quality jointers are machines of high precision. In order to produce a perfect edge, the jointer's tables must be dead-flat and aligned properly. Long tables and a large fence help guide the workpiece through the cut. Weight and lots of cast iron is usually a quality indicator for this type of machine. Spiral cutterheads are the superior option. They produce a better cut, are easier to adjust, and last longer. A sharp set of knives, however, will produce results that rival that of a spiral cutterhead. If you run only a few board through the jointer every now and then, blades are perfectly adequate solution and costs considerably less. Jointing comes in two varieties: face jointing and edge jointing. Face jointing requires more power due to the larger surface area being jointed. The width of your jointer must be as wide as the widest board you want to face joint. 6" is a good starting point for most edge jointing needs. If you plan on face jointing regularly, a larger jointer in the 8+ will oproduce better results. These jointer will have the features and horsepower required to complete demanding tasks. Long infeed and outfeed tables make jointing easier. Ideally each table is as long as the workpiece itself. This is rarely economic or even possible. 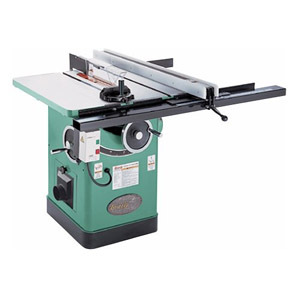 "A solid jointer offers great value for the money. Good build quality results in perfectly square and flat edges. Good for light production only."